Bill Cody Brown, Jr., age 56, went to be with the Lord on Wednesday, January 16, 2019. He was born in Lubbock, Texas on May 11, 1962 to Betty Ann Clary Brown and Bill Cody Brown, Sr. 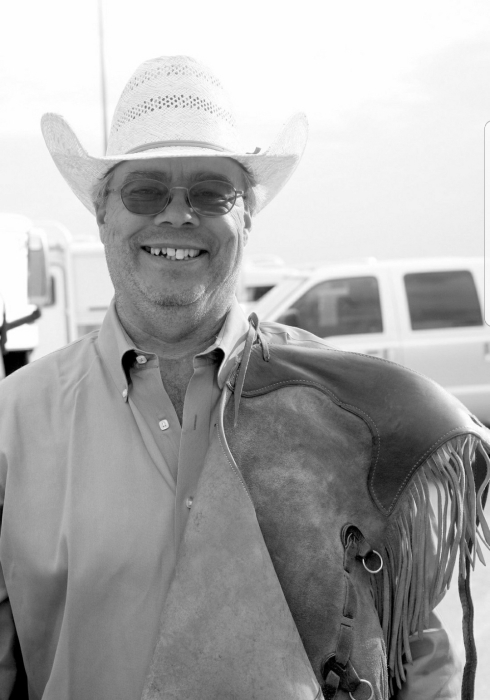 He enjoyed competitive horse riding with the Stock Horse of Texas association, fabrication, entertaining and playing golf, but most of all, he enjoyed spending time with his family, especially his grandchildren and great-grandchild. He was an extremely committed person, not only to his family, but also to his community. He was the current Worshipful Master of Sampson Masonic Lodge #231 AF&AM, served with Baytown Youth Fair/Rodeo and Houston Livestock Show and Rodeo for over 30 years. He was a very helpful person to all, a selfless, talented, adventurous man who would give the shirt off his back to help out a person in need. He was a man of integrity and will always be loved and missed by all who knew him. Cody is preceded in death by his mother Betty Ann Clary Zufelt, his grandmother Durine Phelps, and his Grandpa and Granny, Bruce and Ossie Clary. Cody is survived by his beloved wife, Dana Brown; his children, Bucky and Angela; Crystal and Joe; and Vici and Doug; eight grandchildren and one great grandchild, his dad Bill Cody, Sr. and wife, Jane; step mother, Betty; five brothers and sisters: Annette, Billy, Travis, Brenda, and Dianna and a large extended family. A visitation for family and friends will be held at Sterling-White Funeral Home 11011 Crosby-Lynchburg Rd. Highlands, on Sunday evening January 20, 2019 from 5:00 p.m. until 8:00 p.m. Services will be held in Sterling-White Funeral Home on Monday morning January 21, 2019 at 11:00 a.m. Interment will be in Sterling-White Cemetery. Arrangements entrusted to Sterling-White Funeral Home 11011 Crosby-Lynchburg Rd. Highlands, Texas 77562. To offer condolences to the family, please visit www.sterlingwhite.com.